Includes two knives and a fork with stainless steel blades. 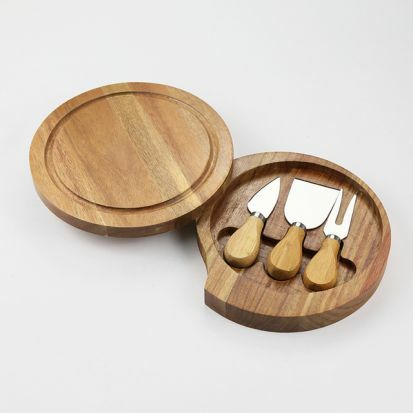 Hevea wooden board with knife storage compartment. Suitable for all popular cheeses.